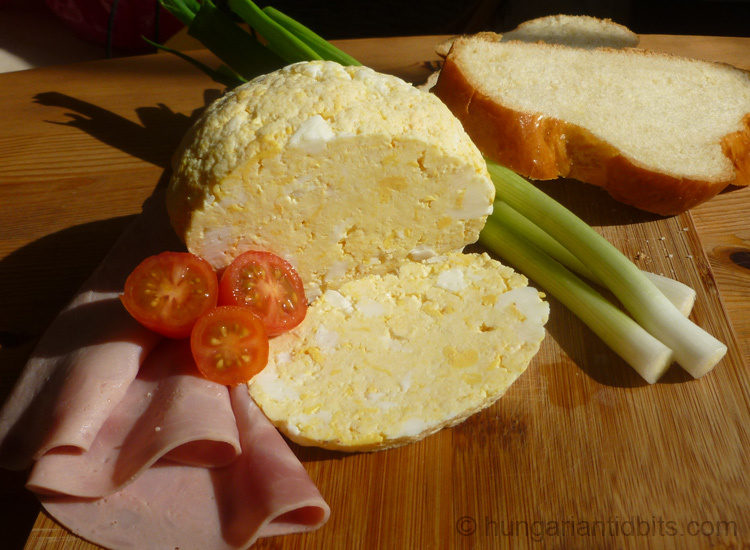 This sweet egg and milk based dish is part of the Easter menu especially North-East Hungary. Often made for Easter Sunday when traditionally food was taken to the church for blessing. It’s a bit like a solid mild custard, the texture is more like cooked egg whites rather than cheese and it breaks in slabs rather than crumble. May sound unusual but surprisingly pleasant, try it with the savory ham or Easter bread. Break the eggs in a bowl, beat with a fork slightly until the yolks broke but not thoroughly mixed. Warm the milk with the pinch of salt, sugar and the optional lemon zest with sultanas. Add the eggs to the warm milk and cook slowly stirring trying the keep the chunky texture. After about 10 minutes on low heat the dish will separate into the cooked eggs and clear milk whey. Watch it carefully as it can burn easily. 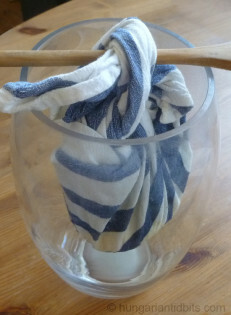 Pour it through a sieve lined with a cheesecloth or tea towel. Let it strain cool somewhat and gather the sides of the cloth and wring out as much of the liquid as can. Make a knot and hang the “Cheese” to drip for a few hours at a cold place, then refrigerated until use. Cut neat slices and serve with ham and Easter bread. You could attach a photo before posting your comment.